After a lecture at Chicago’s Columbia College this past Thursday night for Dave P.’s character visualization art class, my wife Denise asked me to write an article on boiling down art direction to five essential truths. Below is what I came up with. I sit on both sides of the desk, doing the art for art directors, and doing the actual art direction, so I have very definite opinions based on my 30 years of experience. I even taught a class for the Florida 4th District Advertising Federation on How to Art Direct the Art Director. All of you artists and art directors following me, let me know if you agree, disagree or have tips you would like to add to this list? Real-World Example: Someone looking at my portfolio might think I only do muscled super heroes or hyper realism, but truth be told, I did a lot of manga early in my career for Robotech covers, I did toy design for Hasbro, and I did very loose children’s illustration for Harry Potter and Lord of the Rings trading cards. #2. Always provide a thorough review of the project with the artist. Ensure they understand your needs for the art and that they are comfortable in delivering the goods. An artist who does killer character design may be strong in creature art, but weak in landscape or architectural backgrounds. #3. A good art director should never ask the artist if they paint traditionally or digitally. First off, the art director’s eye should be trained to see the difference. There are effects you cannot get with digital, and there are effects you cannot get with traditional. Secondly, the final art is the final art, delivered digitally, no matter what tool(s) you used to get the final product. 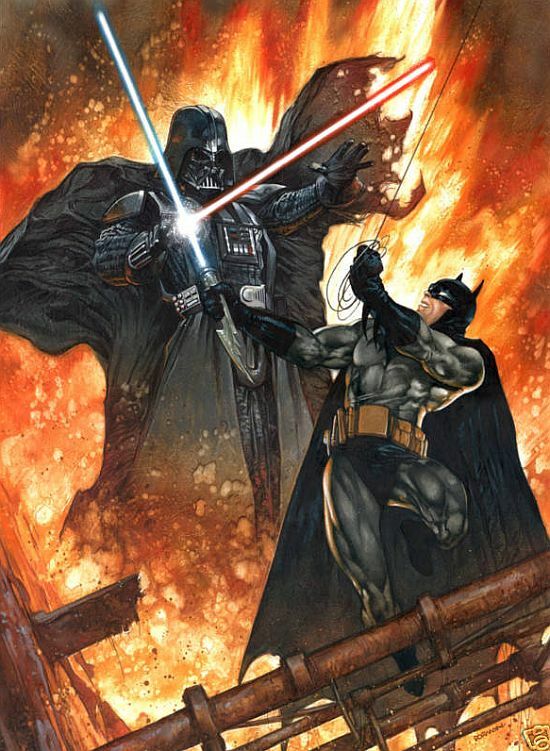 Any Star Wars painting I do with light sabers, I am taking into Photoshop to get that perfect glow on the light saber, although the original piece is oil on illustration board or a combo of oil and acrylic. Mind you, I could whip out my old air brush and get that same effect, but why go through the hassle when I can do it in PhotoShop? With the plethora of art directors now being of the age that they came through their art education via digital art and very rarely–if ever–touching traditional media to produce their final art, I have seen a definite bias in those art directors to choose artists who work in the directors’ preferred medium: digital. The art should speak for itself regardless of the medium in which it’s created. I believe that if the art director is contacting the artist to do a project, then they are judging the artist by the art they see, whether it’s digital or traditional. 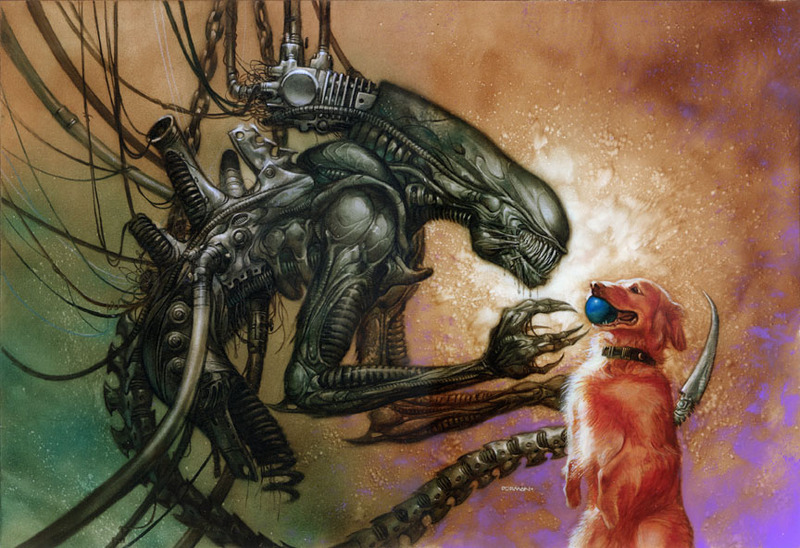 Real World Example: I had an art director call me once, absolutely raving about my Alien art. She had a big project for me, and I was eager to do the project, because it was right in my wheelhouse. Then she asked dreaded question: Do you paint digitally? I don’t, and the project instantaneously evaporated, despite the fact that my look and feel was a perfect match for her project. I believe this art director is short-sighted and I hope she has wizened up since then. #4. Never, EVER assume an artist is outside of your budget. If you like someone’s art, speak with them FIRST about your budget before you strike them off of your list. Any freelancer can attest, we have months when we make a king’s ransom, and we have months when we go hungry. There’s rarely consistency unless you’re working on a videogame project, and even then, that consistent money can go away after a year or two. Real World Example: As a traditional artist, I will often take on projects for little to no money, because I know I’m working on a licensed piece and I will have an actual painting that I can sell to collectors for top dollar once the project is completed. Obviously, digital artists are at a major disadvantage here! I once did a cover for the now-defunct but uber-cool GEEK Monthly magazine, for their San Diego Comic-Con issue. I was the first-ever painted cover they’d published. They were afraid to ask me to do a cover because they assumed they’d never be able to afford me. I did the piece for free. My piece was a modern day Transformer alongside a 1980s Transformer. I did it for free because I knew it was great publicity for the audience I wanted to reach, and then there was the value of the physical painting. I turned around and donated the painting to my favorite charity, USACares.org, to help raise funds for their not-for-profit, helping financially challenged active military families. 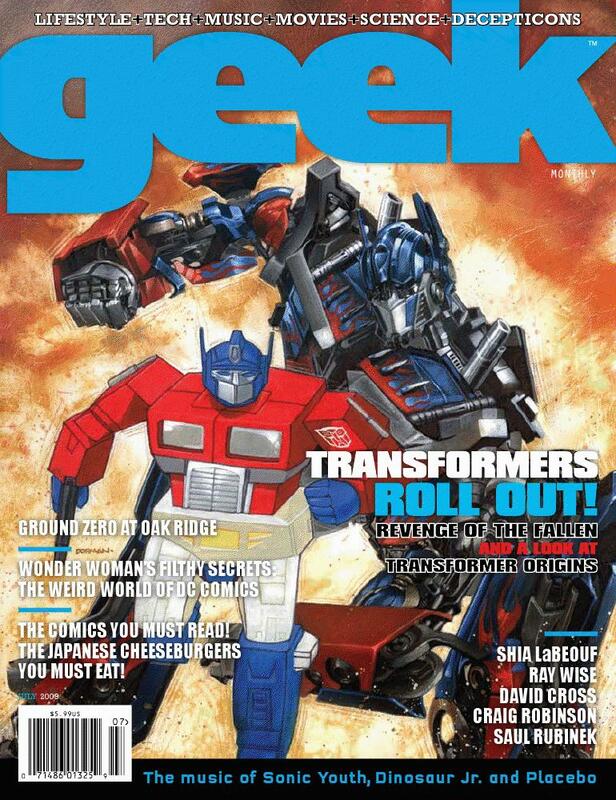 Side note: I wish someone would revive a magazine like GEEK Monthly. It was brilliant, I never missed an issue and I miss it. #5. As an Art Director, it’s your duty in fairness to your artist to have your project details organized properly. Real World Example: I once painted a beautiful sci-fi comic book cover, based on a major license you would all know. AFTER I delivered the piece, they broke the news to me that they didn’t have likeness rights. You can imagine my disappointment. I think the fans were less than satisfied with the piece, probably thinking to themselves that it was lame without the likenesses. Another Real World Example: I painted a beautiful sci-fi cover for a major license you would all know, but they were in the midst of filming the movie, and they were afraid to provide me with photo reference of an actor I had never seen before, for fear it would “leak out.” First of all, that would never happen on my watch, and it was frustrating for me that they trusted me enough to paint their licensed characters, but not enough to provide me with proper reference. They literally provided me with a postage stamp-sized photo reference and I could not get the facial features right without decent reference. Eventually they capitulated, but it took a lot of back and forth. In other news, I think I will be converting my Facebook Group Page for The Wasted Lands to a Facebook Fan Page soon, so please watch for that. For those of you unfamiliar with it, The Wasted Lands is my own I.P. (Intellectual Property) – an alternate universe, adrenaline-pumping motorcycle western action adventure with Steampunk aesthetics. If you like it, let me know. Given the rate of growth of my personal page on Facebook, I will likely transition it over to a Fan Page soon as I’m going to hit the limit soon to people I can friend. I recorded a 2-hour interview last night with Alpha Nerd podcast out of Australia, so I will be posting that link here as soon as I have it. Well, I’m off to watch Godzilla v. Mothra with my son. It’s so much fun having a mini-me!